While there are exciting plans up and down the UK in the Life Sciences sphere, as one of the key sectors for the Government’s Industrial Strategy, a tangible buzz is emanating from Essex in light of Public Health England’s (PHE) new £450m state-of-the-art public health science campus and headquarters relocation to Harlow. Work is now underway with phased occupation beginning in 2021 with PHE Harlow, as the campus will be titled, expected to bring together around 2,750 staff from the Department of Health agency’s current sites, including Porton in Wiltshire, Colindale in north London, and its current central London headquarters by 2024. 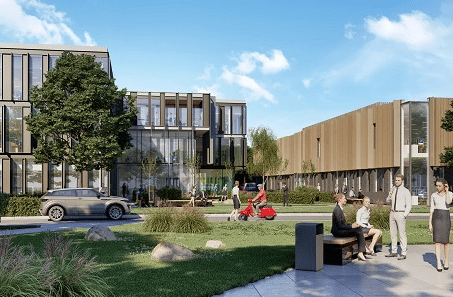 It will be based at the New Frontiers Science Park, former premises of pharmaceutical giant GlaxoSmithKline, where it will reuse existing large laboratory buildings as well as see the construction of new laboratories, additional office accommodation and a public arrivals area. On top of the PHE campus, there are further developments underway or at the proposal stage that will see Harlow become a major cluster on the UK’s London, Stansted and Cambridge innovation corridor, now known as the “UK’s Innovation Corridor”. Harlow Science Park, a 27-acre world-class research and innovation site will focus on clustering opportunities for the Med Tech and Life Sciences sectors. 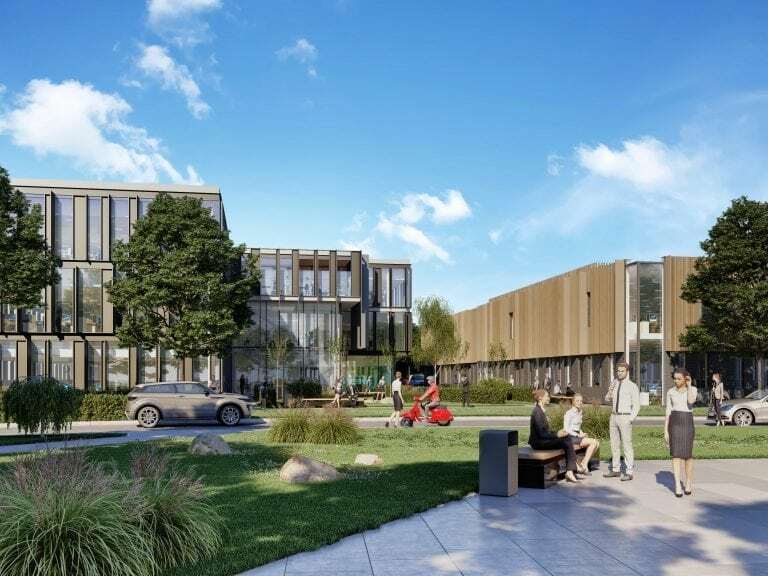 Work on the first buildings at the Science Park began in October 2018 with the initial phase of construction focusing on a business innovation centre for Anglia Ruskin University (ARU) and part-funded by Essex County Council. The centre will provide the potential for the commercialisation of spin-off projects from research programmes into new health and medical technologies. The Harlow Science Park development will capitalise on the growing Med Tech economy in this region as well as the wider science and engineering sector, as recognised in the East of England Science and Innovation Audit published in September 2017. As well as providing affordable space for start-up businesses, the centre will also be able to provide access to ARU’s extensive clinical trials programme, market intelligence and access to a wide industry network. 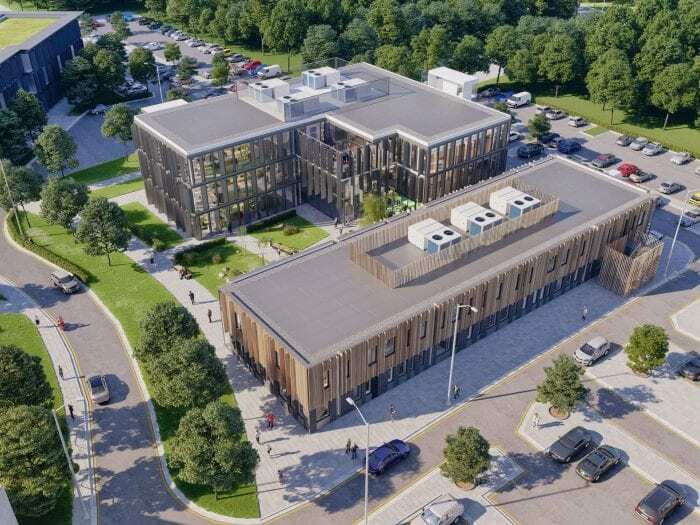 Harlow Science Park’s first phase of construction is scheduled for completion in late summer 2019, and Anglia Ruskin University’s Innovation Centre will sit alongside “Nexus”, an office complex owned by Harlow Council being built to help businesses in the technology sector grow. 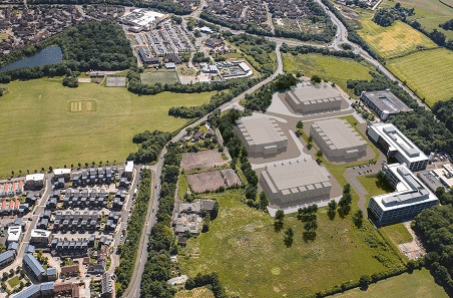 The development will form a significant part of the Harlow Enterprise Zone, which is already home to world-class technology businesses like Arrow Electronics and Raytheon. Ultrafast broadband is guaranteed for new tenants at the Science Park as the Enterprise Zone is also home to Kao Data, a new data centre which provides state-of-the-art, carrier-neutral data centre space. 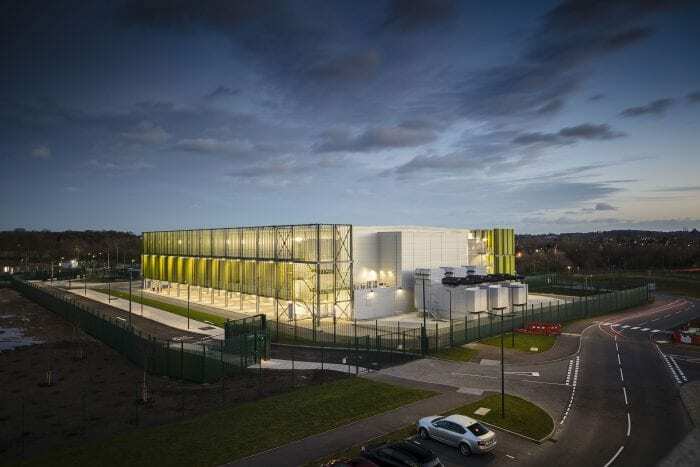 Kao Data was given a huge boost recently with Legal & General Capital agreeing to take a 50 per cent stake in the £230 million data centre campus to serve life science and technology businesses along the innovation corridor. This additional funding will enable the build out of the second and third data centres on the campus. Meanwhile, there is a potential for much-needed redevelopment of the Princess Alexandra Hospital to ensure it continues to serve the growing population in the surrounding area. A Harlow exploratory workshop in November 2018 brought together stakeholders from the local political, life science and NHS ecosystems, to discuss how “the sum of the project parts could be greater than the whole”, and look to place health at the centre of economic growth. By 2025 Harlow will be one of the most remarkable places to live and also one of the most important places in the world for public health science, only rivalled by Atlanta in the USA. There are great things happening in Harlow and this Centre is part of it. This article also appeared in UKSPA’s Spring 2019 edition of Breakthrough Magazine. Essex’s state-of-the-art research and development facilities as well as science parks offer fast connections to both Cambridge and London via the M11 motorway. London Stansted Airport also offers direct flights to Europe, North America, and Asia.